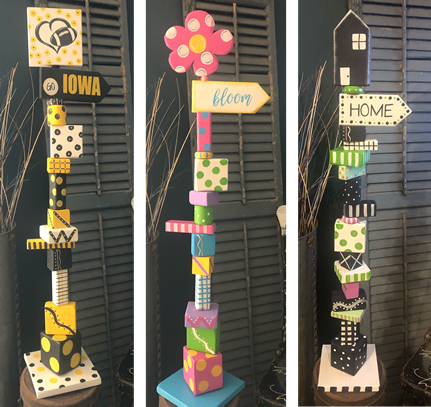 Grab your friends or family and join Glenda to make a personalized 3’ tall garden pole in this fun and easy class! Choose from a variety of shapes, sizes, and toppers (flower, heart, house, star, or square). It’s Mother’s Day weekend so what a great way to spend some time together! We’ll have a free gift for moms and daughters who sign up together. When you register, please let us know the theme you’d like for your pole (such as gardening, favorite sports team, or pets), your favorite colors and a word for the sign on the pole.